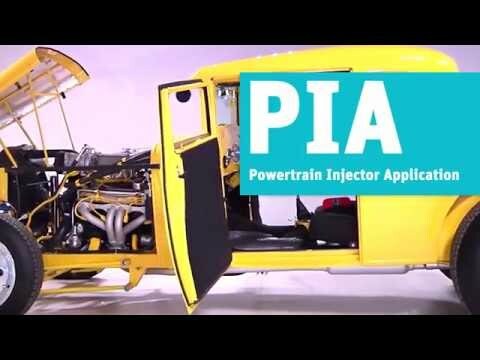 The PIA solution platform simulates the control function for actuating fuel injectors and high-pressure fuel pumps in an automated environment. PIA assumes the function of a control unit for actuating injection valves and high-pressure pumps, simulating a standard ECU. All parameters for actuation can be set flexibly. In addition, PIA includes all necessary power supply units (injector/pump supply) and optional measurement technology components for optimal function analysis. PIA has been designed so it can be applied in the laboratory and testing area as well as, thanks to its complete functionality, to be used for EOL tests in production lines. The new generation is based on the NI DCM-(Direct Injector Control and Measurement) device from National Instruments. The broschure gives a quick overview of the Berghof Testing offer in the powertrain test sector with focus on the engine. Short description of the PIA solution platform. PIA is a solution platform that comes in different shapes and sizes. This document gives an overview about the different variations and their capabilities. Please enter your information below and a representative from Berghof Automation GmbH will contact you.